The woman had been caring for the boy from a few months after his birth until April of this year. A WOMAN HAS launched a High Court challenge against Tusla, the Child and Family Agency’s (CFA) refusal to consider her as an adoptive parent for a young child she had fostered. The woman fostered the boy a few months after his birth in 2016 until April of this year when she claims the CFA removed him from her care. The woman said the child’s removal from her care was done without any consideration for his medical or psychological needs, or his best interests and welfare. The court heard that the woman, who has other children, wants to adopt the child. The parties involved in the case cannot be identified for legal reasons. In her Judicial Review proceedings against the CFA the woman claims the boy, who has certain medical conditions, has built up a strong bond and attachment to his adoptive siblings and the woman. However, she says she was informed by the CFA that as a single parent she could not adopt the boy, and that the child’s birth mother wanted him adopted by a two-parent family. Following his removal from the woman’s care, which took place at a time when he was receiving medical treatment, the boy was subsequently placed with prospective adoptive parents. In her proceedings, she claims his removal and placement in the hands of strangers was done without any regard for his welfare and was done without proper planning for his complex physical and medical needs. A lack of planning went into his move, she also claims, and no proper assessment of his needs occurred, she claims. In acting in the manner that she did she claims the CFA failed to properly vindicate the boy’s constitutional rights. The CFA she claims failed to give both the child and the foster family due process, fair procedures and natural justice in deciding on his future care and custody, the woman claims. At today’s sitting of the High Court the woman, represented by John Rogers SC, seeks various orders from the court including one directing the CFA to review its decision not to consider the woman as an adoptive parent for the child. She also seeks various declarations including one that the CFA in failing to respond to her request to be the child’s adoptive parent failed to assess what is in the child’s best interests. 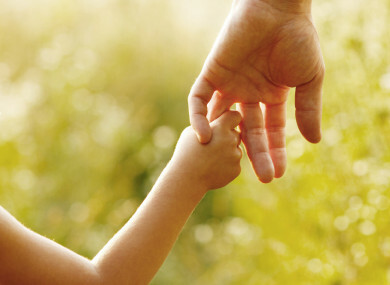 She further seeks a declaration that in failing to conduct an assessment of the child’s attachment to his foster family the CFA also breached its duty of care to the infant. Permission to bring the challenge against the CFA was granted on an ex-parte basis by Mr Justice Richard Humphreys. The Judge made the action returnable to a date in mid-October. Email “Foster mother takes Tusla to High Court over refusal to consider her as adoptive parent for child”. Feedback on “Foster mother takes Tusla to High Court over refusal to consider her as adoptive parent for child”.